First, thank you to everyone who has made the launch of Press Play a phenomenal success. 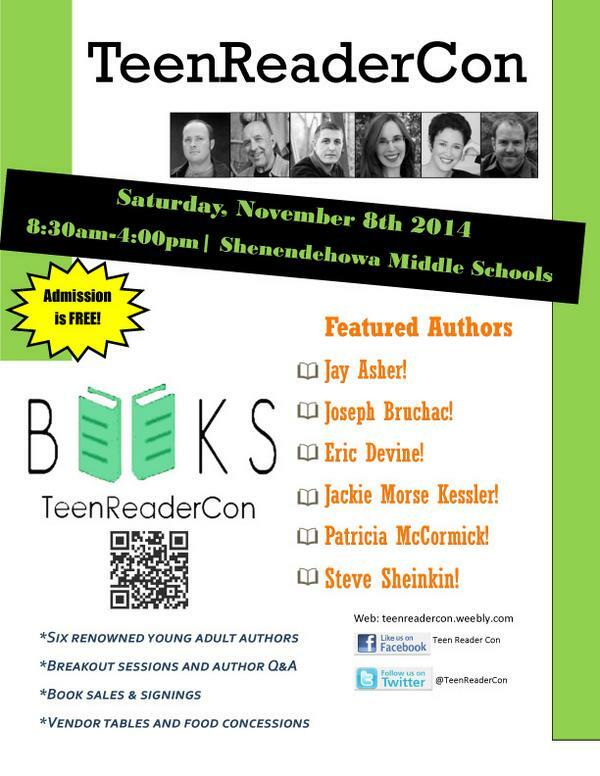 I’m having a blast, and the fun has only just begun, which brings me to this upcoming weekend and Teen Reader Con. 8:30-9:00 Arrival – Trivia games and book sale! I think the best part of all this, that I simply cannot underscore enough, is that it’s free. Yup, it costs nothing. To have access like this for an entire day at no cost is simply amazing. There are few teen events like this nationally, so I urge you to take part. Each Session is a presentation from each author. So, if for nothing else, come and spend 45 minutes in a small group setting learning about all of the authors. I guarantee you will be entertained. Any additional information can be found on the website, and I’ve added my video message from there for your enjoyment. I hope to see you this weekend.